Heritage is a growing area of both tourism and study, with World Heritage Site (WHS) designations increasing year on year. This book reviews the important interrelations between the industry, local communities and conservation work, bringing together the various opportunities and challenges for a destination. Proper heritage management and conservation activities are always vital. Reviewing new areas of development, such as Historic Urban Landscapes, Intangible Cultural Heritage, Memory of the World and Global Geoparks, it Includes global case studies to relate theory into practice and covers a worldwide industry of over 1,000 cultural and natural heritage sites. An important read for academics, researchers and students of heritage studies, cultural studies and tourism, this book is also a useful resource for professionals working in conservation, cultural and natural heritage management. Takamitsu Jimura is Senior Lecturer in Tourism at Liverpool John Moores University. Before joining the University, he worked for York St John University and University of Greenwich for more than seven years. Currently, Takamitsu is a visiting researcher at Osaka University of Tourism. In 2012, he was invited by Hannan University, Osaka, as a visiting researcher. Takamitsu holds a PhD in Tourism and Cultural Heritage Management and an MSc in Tourism, Conservation and Sustainable Development. His research interests include cultural and heritage tourism, tourism marketing and sustainable tourism. He is especially interested in investigating the impacts of World Heritage Site (WHS) designation on tourism development, local communities, and heritage management and conservation activities. He is the author of several journal articles and book chapters and has presented his works regularly at international conferences. 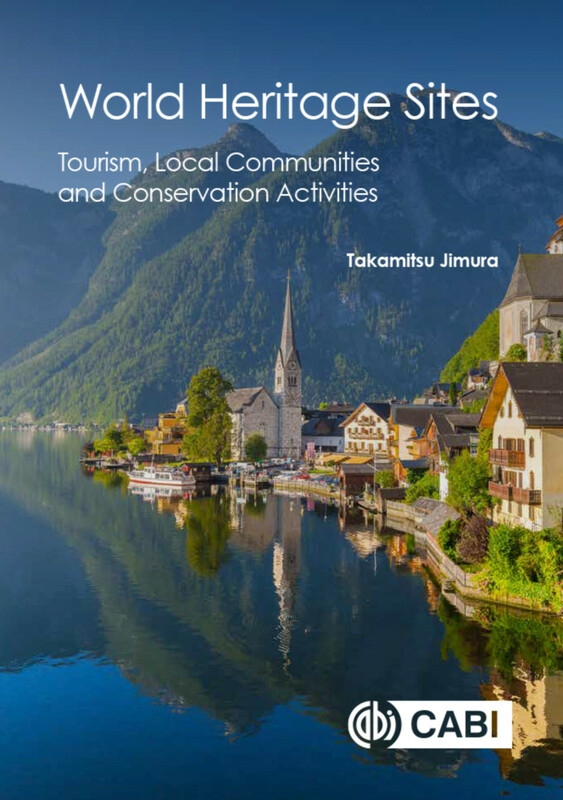 His most notable paper so far is "The impact of world heritage site designation on local communities - A case study of Ogimachi, Shirakawa-mura, Japan", published in Tourism Management (Cited by 124: Google Scholar as of 23 September 2016). His latest journal article examines the WHS management at Sacred Sites and Pilgrimage Routes in the Kii Mountain Range.